The Orlando magic is coming off a South Eastern Conference Division title and is currently placed at the seventh seed in the Eastern Conference. Finishing their season with a 42-40 overall record, the Orlando Magic has had the best season this year since the 2010-2011 season. Comparable to last year where the finish 25-57, the Magic have had a complete turn-around and their rebuilding the last couple of seasons looks like it could be taking the franchise in a positive direction. The team has finished with an above .500 win/loss ratio for the first time since the lockout 2011-2012 season. For their current situation though, their statistics may not hold up against their dominant counterparts from Toronto. Going into the series, the Magic is relying mostly on their defensive efficiency. With a 107.5 defensive rating, the Magic ranked eighth in the NBA with their defense. Leading the way for their defensive end are their big men. Rookie, Mo Bamba, averages 1.4 bpg, although he only played in 47 games in the season. Starting center Nikola Vucevic averaged 1 spg and 1.1 bpg as well. On the offensive end of the team, they’re not as reliant as their defensive abilities. Ranking 22 in offensive rating with 108.1, the Magic have one of the worst offenses in the league. 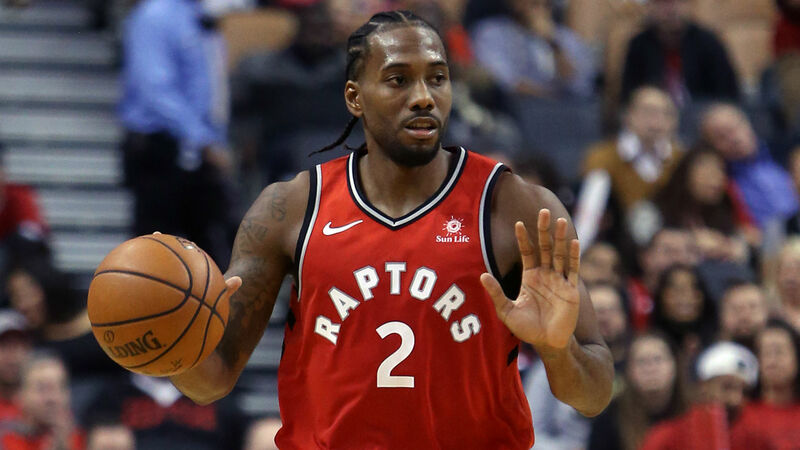 Led by scoring leaders, Nikola Vucevic and Aaron Gordon, their offense will have to be able to match the speed and tenacity Kawhi Leonard brings to Toronto’s defense. The Toronto Raptors are also coming off of a division title in the Atlantic division. Finishing their season with a 58-24 overall record, the Raptors placed second in the Eastern Conference behind the Milwaukee Bucks. NBA fans originally thought the Raptors wouldn’t be as successful without DeMar DeRozan and Dwane Casey, but with their acquisition of Danny Green, the team was able to open their floor to snag more perimeter shooting. The Raptors showed out this past regular season and are expected to be a serious contender in the Eastern Conference. With the second seed in the Eastern Conference, the Raptors are expected to take the Magic out in a couple of games. Unlike the Magic, the Raptors have a more stagnated gameplan. Both their offense and their defense are heavily reliable and not one brings the other down. Ranking fifth in offensive efficiency with a rating of 113.1, the Raptors have one of the best offensive sets in the league. Led by scoring leader, Kyle Lowry who averages 17.4 ppg and 8.5 apg, the Raptors have an offense that runs circles around Orlando. On the defensive end, the Raptors finished the season ranking fifth in their Defensive Rating with a score of 107.1. Led by their block leader, Jonas Valanciunas with 1.5 bpg and Kyle Lowry who averaged 1.5 spg. There is no doubt that the Orlando Magic is a good team, but being able to compete with an extremely dominant Toronto Raptors squad. Despite their recent success as a franchise and the fruition of their rebuilding process, the Magic, I believe, will not be able to top the Raptors in their playoff series. I do believe that Orlando can have a really good team if their front office can play their cards right.